Twenty-four miles from West Union is the largest coldwater spring in Iowa. 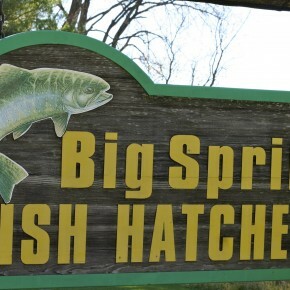 The Big Spring Watershed is one of the most well-known and studied sites in the nation in a limestone-dominated landscape. Flows from the spring usually range from 20,000-30,000 gallons per minute but can exceed 150,000 GPM after a heavy rainfall.